ZTE faces a doom of its own making. But the Chinese company could be pulled back from the brink, thanks to help from an unexpected quarter: US President Trump announced on Sunday via Twitter that he and China's President Xi are working on a solution to save ZTE from bankruptcy. Dual wielding screens: do you need the ZTE Axon M? As we have known since last week, ZTE is in an unparalleled crisis. Due to violations of the Iran sanctions, the US Department of Commerce imposed that US companies should no longer sell hardware or software to ZTE for a period of seven years. Last week ZTE had to announce that core business fields, such as the production and sale of smartphones, will have to stop as a consequence of the punishment from the US Department of Commerce. On Sunday 13 May, President Trump announced via Twitter, as usual, that the US was willing to work with Chinese President Xi to find a solution to the ZTE case. After all, too many jobs in China (70,000 employees, according to Chinese statements) could be lost if ZTE shuts down. Trump wants to save jobs in China? Sounds a bit unusual, but the jobs in China also include US companies such as Qualcomm, the main supplier of chipsets for ZTE. If ZTE were to be dropped as a customer, it would certainly be a significant blow to Qualcomm. So it could well be that American technology companies supplying ZTE have been lobbying for their interests in Washington and now the US president intervenes. That the Chinese President Xi supports ZTE is clear. He has no interest in the number 2 Chinese smartphone manufacturer disappearing. Especially in view of the fact that Xi has recently repeatedly emphasized the need to develop China into a leading country in the technology sector in the long term. A plan called "Made in China 2025" provides for China to take the lead in the high-tech sector by 2025. The loss of a company the size of ZTE would certainly not help here and could endanger China's plan. But the plan is even more explosive in detail if you take a closer look. China wants to become more independent of foreign suppliers. Limiting it to the telecommunications sector means, in the long run, not using Qualcomm chipsets, Google operating systems and the like. ZTE Blade V9: could it be your weapon of choice? In 2017 alone, China is said to have spent around 260 billion dollars on chip imports - chips that are largely manufactured in China anyway, but by foreign companies. In order to reduce foreign dependence as quickly as possible, the National Integrated Circuit Industry Investment Fund, or "Big Fund" for short, is announcing a second fund worth 20 billion US dollars following an initial fund to drive developments in semiconductor technology. Looking at the entire history of ZTE, the US sanctions did not ultimately present an existential threat to China, but rather strengthened its determination to push the "Made in China 2025" plan even faster. Maybe we should be prepared for more smartphones from the Middle Kingdom to be shipped without chipsets from US companies like Qualcomm. Huawei is already doing this, Xiaomi has already completed the first smartphones with their own processors. ZTE could soon follow. What do you think? 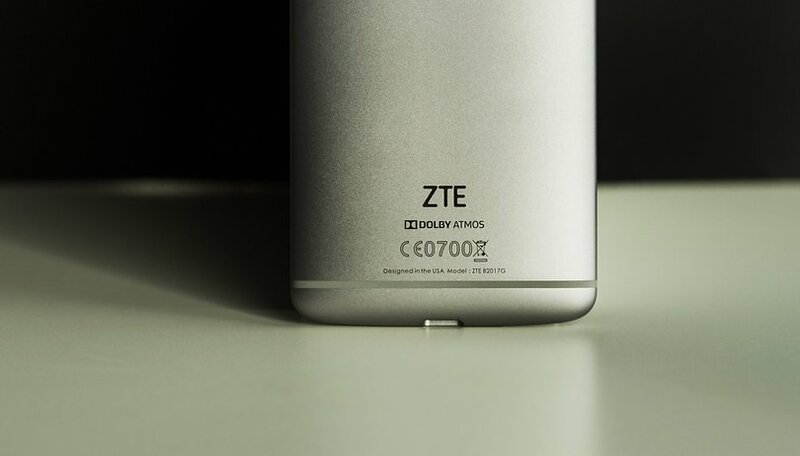 Should the US be lenient on ZTE? Or stick with the ban? ZTE / Huawei are obviously being used as a bargaining ploy, because Fair Trade eventually is going to require more manufacturing in the United States (or cheap labour in Mexico - 'cause hey Trump wants to renegotiate NAFTA and Asian Trade simultaneously, might as well let both Countries compete for American Trade)! I'm not going to bicker over what ZTE's guilty of, but question why their being made an example of, while America turns a blind eye to Germany trading with Iran (shouldn't America punish Germany, too?)! America certainly turned a blind eye 20 years ago when France was selling weapons to a Dictator lead Iraq, but I'm stopping right here (because my point has been made, this isn't a political forum, it appears NATO allies get a free pass)! American Consumers deserve more choices, our intellectual property via Tech Companies should be protected, yet manufacturing may never return to America at the level it used to be (but America does need to stay ahead of the Microchip War, and that requires keeping Silicone Valley light years ahead of the World)! ZTE violated the law/Commerce Department rules on exporting technology to banned states. They did it and got caught. They admitted to the behavior, then did it again. They knew the consequences. I have no sympathy. If I were to do the same I'd sit in jail. But if "The Rule of Law" doesn't matter. Why have rules and laws? China's OEMs are bound hand and foot to US operating systems (Microsoft Windows on PCs, Android and iOS on mobile devices) and arbitrarily banning Chinese manufacturers gooses these state-sponsored enterprises to go their own way: with China's consumer market of a billion or so, its development of dependent "New Silk Road" economies will add another billion or two in coming years. Either they're going to use American software or homegrown. Trump seems more afraid of blowing up an imperfect but working trade relationship with nuclear dictatorship and local bully China than an imperfect but working trade relationship with nuclear-free dictatorship and local bully Iran. Looks like the way to deal successfully with Trump is to build an H-bomb. Yeah, like manufacturing stuff in America would work. B. You'd have to find people willing to WORK. Chinese tech companies will be free of US reliance sooner rather than later. So why not milk them until then? There's no point in imposing a ban on ZTE and Huawei unless the US can get something back in return with the trade talks.